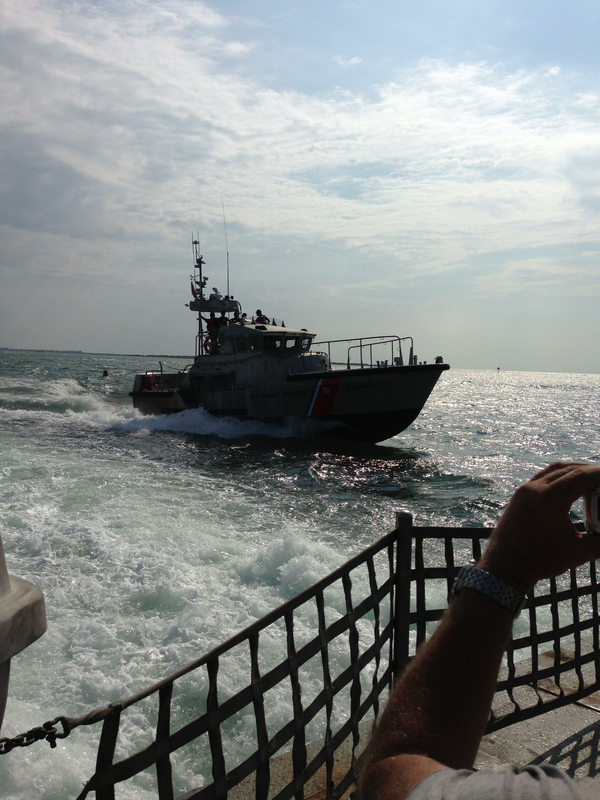 On Friday, we took a ferry from Hatteras Island to Ocracoke Island. I’m a water person, and the ferry ride itself was fun. The fact that there was no charge (how nice is that?!) simply meant “Free Boat Ride” to me. Our destination became almost an afterthought. 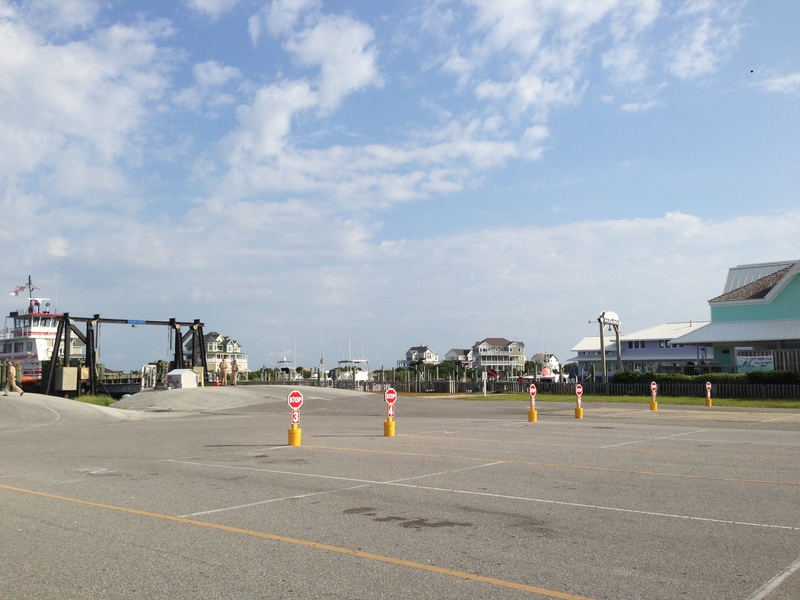 Although I was really looking forward to seeing Ocracoke, a part of me was sad when the ferry ride ended. 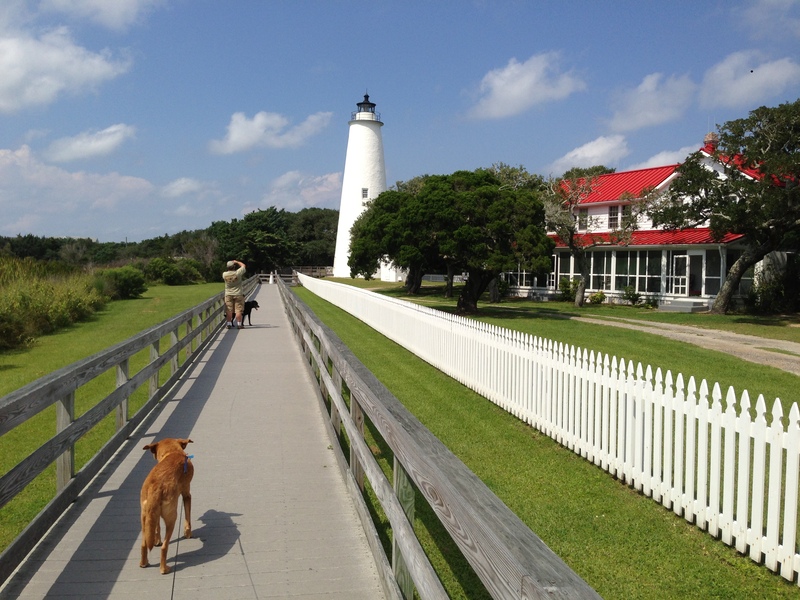 If you’ve never been to Ocracoke, you are missing a very laid-back fishing village. I was delighted to see that it has retained the non-commercialized atmosphere. We saw no chain restaurants or hotels (same could really be said for Hatteras Island too, with the exception of a small Dairy Queen). Like Hatteras, one main road and many quaint side streets. Perfect for bicycling, which we saw was a prevalent activity on the island. I found a little bookstore that had a mighty good selection of books and art supplies, ‘Books to be Red’ (www.bookstobered.com). 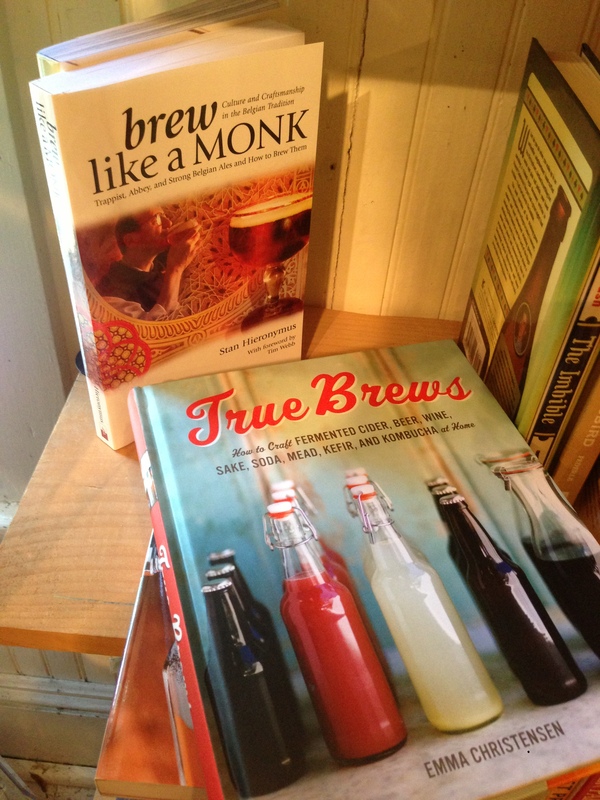 For such a small store, I actually found 5 distinct books on brewing beer, which I was happy to tell Eric (who was waiting patiently outside with the dogs) about, so that he could take a look on his turn to go inside. Not quite as tall as you might expect in a lighthouse, what it lacked in size was made up for in charm and history. This is the oldest operating light station in North Carolina, and one of the oldest in the nation. We did get to go inside (they even let Trix and Holly go in with us). This being my first time inside of an actual lighthouse, I am getting more and more hooked on them. All in all, we had a splendid day on Ocracoke (so much so that we went back a couple days later, our last day of vacation). Next post will describe our visit to Roanoke Island. We hadn’t planned on going there, but sure glad we did! 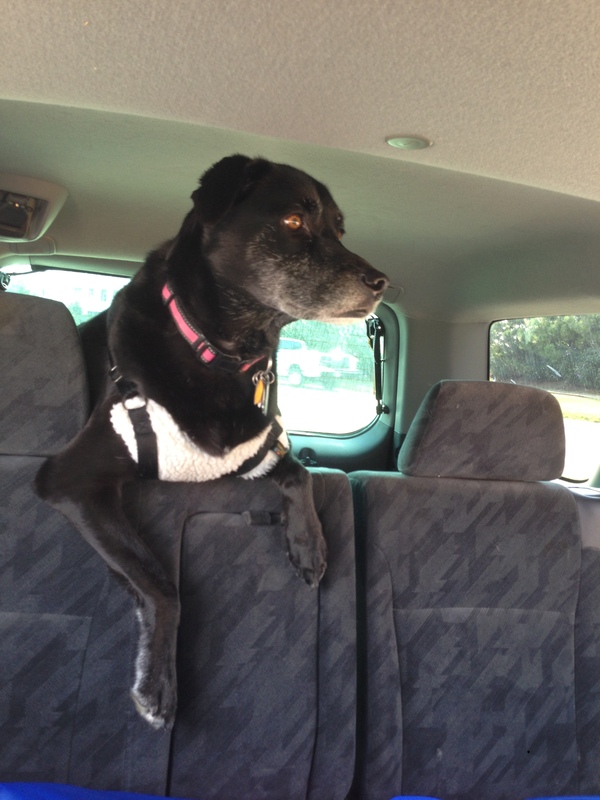 This entry was posted in Blog Update and tagged lighthouses, ocracoke, outer banks, travel, Trixie. Bookmark the permalink. thanks! Glad you’re enjoying it. We had a blast in the Outer Banks. I’d travel 24/7 if I had the chance, I think. Travelling 24/7 would be fun…. and sleeping after would make you feel really good. Haha.